Brentwood is celebrating its 50th birthday this year and we are raising money for their City parks. 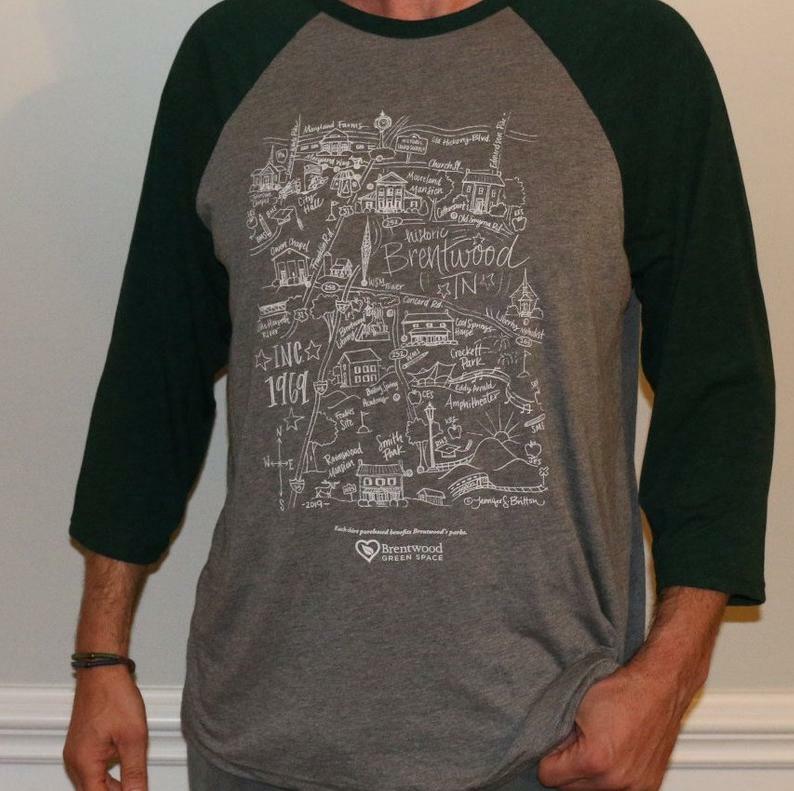 The Citizens for Brentwood Green Space is partnering with the City to sell short-sleeved ($20) and three-quarter sleeve T-shirts ($30) with the historic map illustration. 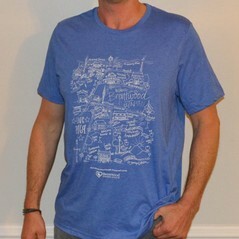 All net proceeds from the T-shirt sales will go directly to benefit Brentwood city parks. Of course, we appreciate any donations you wish to make beyond the cost of the shirts. There are a limited number of shirts, which will be available starting at the April 6 Arbor Day Celebration at the Brentwood Library. You also will be able to buy these shirts in person at any of the City sponsored events celebrating the City's 50th birthday. Visit the City of Brentwood site at https://www.brentwoodtn50.org/ to see the schedule of events. 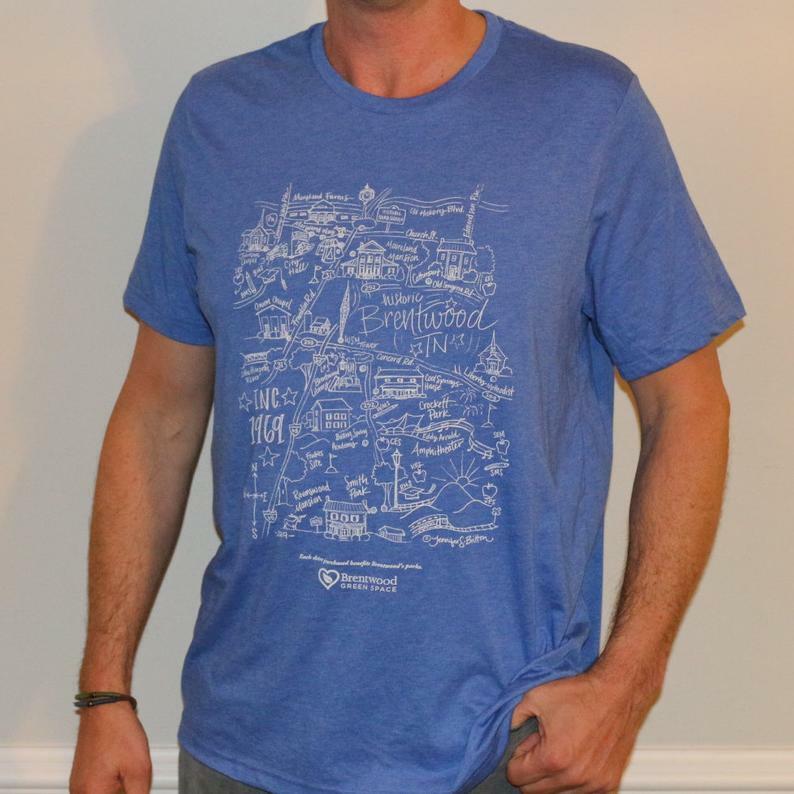 You will also be able to buy shirts at the annual Walk in the Park event on September 15, 2019 sponsored by Brentwood Green Space. At the various events, shirts can be paid for by cash, credit/debit card, or Venmo (@Citizens-BrentwoodGreenspace). This one-of-a-kind customized short sleeve, supersoft t-shirt comes only in blue/white as shown. 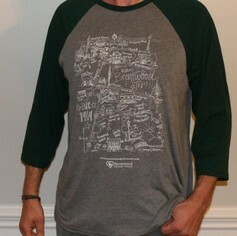 The front displays the historic Brentwood city map illustration and the back is plain. These shirts are very soft and comfortable and are made of a 52% cotton and 48% polyester blend. They come in men sizes S to XXL and cost $20 each. This one-of-a-kind customized 3/4 length sleeve, supersoft t-shirt comes only in gray/hunter green as shown. The front displays the historic Brentwood city map illustration and the back is plain. These shirts are very soft and comfortable and are made of a 52% cotton and 48% polyester blend. They come in men sizes S to XXL and cost $30 each. It should be noted that you will not be able to purchase t-shirts at the City Hall. You are only able to pick up your shirts from ordering online. Should you have any questions please contact us .